Snapchat is planning to launch a service that would provide news content and paid advertising this fall. The product would let users read daily editions of publications as well as watch video clips of TV shows or movies by holding down a finger on the screen, like they do with photos and other messages on the app before disappearing. 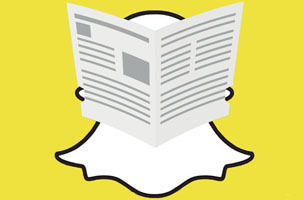 While a variety of brands and media organizations have been leveraging the still-young messaging platform, Snapchat Discovery would also introduce paid ads for the first time. So far, besides launching their own accounts, brands have been reaching out to users with large followings and doling out substantial paychecks. We wonder how such content would appear on the platform, given that 10 seconds is not exactly enough time to delve into a newspaper or magazine article. Would it offer mobile-friendly summaries, à la Circa? Would it lengthen its countdown for content on the service? For emerging platforms that have successfully attracted users, focusing on news and advertising is the next logical step. However, we don’t think that this service would cause its users to go as crazy as they did for the last update. Snapchat will have to tread carefully in order not to alienate them.